-YOU might wanna sit down for this one (okay, you probably already are!). One of Edmonton's busiest shopping centres, Kingsway Garden Mall, is no longer! Well, the name isn't, that is. 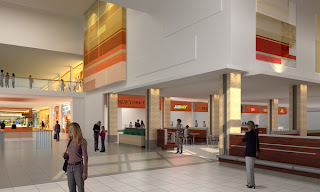 The central mall has dropped the "Garden" and will now reside simply as Kingsway Mall. I know...this is a lot to process, but you'll get used to it, I promise. It's all part of the 33-year-old mall's grand reopening this past weekend (Nov. 13-15), following a 2-year, $70 million makeover, just in time for the holiday season. 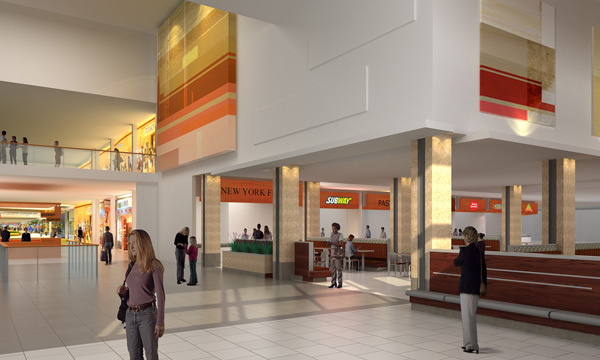 Located at 109th St. & Kingsway Ave., the 190-shop centre boasts brand new stores, new escalators & bathrooms, enhanced lighting, plush seating, and a stylish, updated food court. It even has a new slogan, "Let Your Light Shine," which goes well with the brighter look of Edmonton's second largest mall (at 960,000 square feet). Over the last couple of years Edmonton's North Town Centre, Westmount Centre, and most recently, Southgate Centre, have all undergone major renovations of their own. -JANUARY 31, 2010 has been set as the deadline for submissions for The Old Strathcona Business Association's annual guide cover art. The OSBA has announced an open call for all artists to come up with a cover that captures the beloved district's cultural buzz, via a painting, a photograph, or even a sketch. It's up to you people, so do whatever it is that you do to get your creative juices flowin', and then submit a digital format of your piece to the OSBA's Marketing & Events Manager Stephen Liley (stephen@osba.ab.ca). If you'd like to check out the current artwork, click on the "Old Strathcona Guide" link on the official site. -ONE of the most recognizable voices in Edmonton, Bryan Hall (pictured right), is calling it a day. I guess that's not completely true, as the 75-year-old radio announcer will continue hosting his own talk show on 630 CHED. 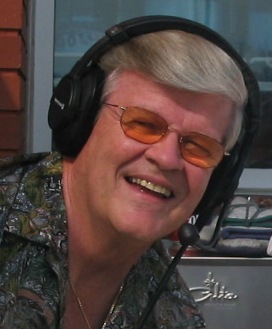 It's his lengthy stint as the voice of the Edmonton Eskimos that has come to an end, after some 55 years with the CFL club. "Hallsy," as he has become known, started working with the Eskimos back in 1954, but it wasn't until 1965 that he became their legendary voice. He's spent almost every season with the team since, excluding two years with Toronto. Hall's career with the Grey Cup champs concluded with last Sunday's playoff game (Nov. 15), which we lost 24-21 to the Stampeders in Calgary.